Cryptocurrency and Artificial Intelligence: Is It Reality or Propaganda? Any industry that you could think of these days is promisingly hailing AI as its next big thing. Many of 2017’s ICOs are shoehorning the notion into their whitepapers, somewhere in a proposition to appear ‘revolutionary and progressive’ and in touch with the zeitgeist and thereby making the cryptocurrency sector follow the ongoing trend. But beyond all the hard sell, what truly is the impact of artificial intelligence on the crypto industry, will it have any major effect in the future and could its rise eventually make human traders outdated? Many companies are cashing in on this AI hype. The significance of blockchain to the cryptocurrency industry is equivalent to what AI is to tech: outnumbered by the projects interested only in fixating on the buzzword and surfing it for all it’s worth rather than as a concept with legitimate applications. It is logical why companies are so eager to cash in on the hype, as startups described as being involved with AI attract 15-50% more funding than other tech firms. Regrettably, this has managed to overlie much of the real progress being made in AI-based technologies. AI is well recognized and has already made its mark in the conventional financial markets. Artificial intelligence will need vast troves of data for the purposes of machine learning, and the stock market will be ideal for this purpose- having terabytes of empirical data to draw upon, in order to be useful and efficient. There is convincing evidence proving that AI will be able to out-trade humans in this domain. There was a recent study by Eurekahedge of 23 hedge funds which showed that when artificial intelligence was used, the computers returned considerably better results than those managed by people. But what will the impact of this be in the cryptocurrency markets? By now, AI has already marked its presence; it is just not scattered evenly. There is a hypothesis inside the smaller cryptocurrency sector that there are too many exogenous factors for AI-based tools to have an edge. That evaluation will soon seem old-fashioned, for, with the development of software that can simulate trillions of trading days, algorithmic trading powered by AI will prevail as anticipated. Squilla Capital is a diagnostic service for the crypto project and market evaluations that incorporate AI and big data. Danil Myakin, the co-founder of this organization, has said that ‘it is almost impossible to get rid of Human bias. People often unsuspectingly, trade on their emotions. Data-based decision-making eliminates the clatter that can obscure people’s choices, preventing them from acting sensibly, and focuses exclusively on the indicator’. Myakin also stated that when one has a large enough sample set, computers that have been trained using machine learning will without fail to obtain more precise insights than humans. In current years, this theory has been applied to the cryptoconomy with very convincing results after being proven in every foremost financial market. It is also important to know how AI is being functional within the Cryptosphere. When it comes to computerized trading, there are a number of sectors in which artificial technology is showing its worth. High-frequency trading (HFT) is one of them, relying on the investigation of technical indicators across multiple exchanges to facilitate the response to market-moving trades sooner than the rest of the market. For instance, HFT could allow an order to be executed on another exchange almost instantly to capitalize on the price spike, if ever a trader was to place a large BTC buy order on Kraken. AI can also aid automated trading through API linked to leading exchanges. Traders can choose indicators they want the software’s decision-making foundation on, like the RSI and EMA and the preferred timeframe. The AI will then put into operation, trades within these parameters. The options of backtesting their settings, refining and optimizing them are also available to the Traders. With the moving passage of time, the AI’s performance should advance as the dataset at its disposal increases. 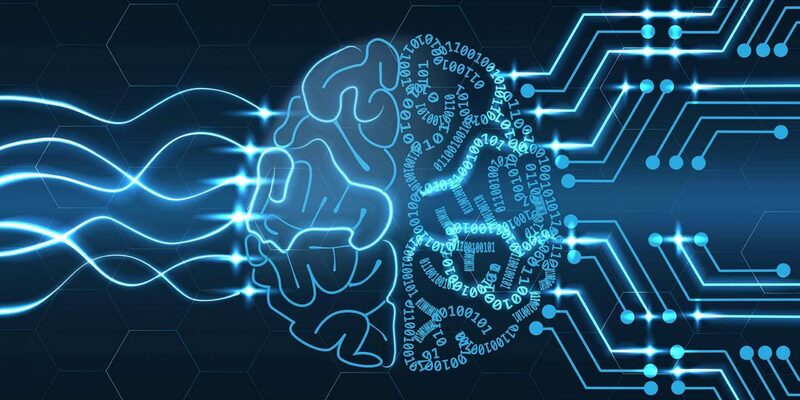 AI apart from the crypto markets is also being used for sentiment analysis, to sift through the noise taking place on social media and find out how the community feels about certain projects, from which action-oriented insights can be derived. Artificial intelligence is not a universal remedy for every challenge of the cryptocurrency industry, nor is it going to make the smartest human traders insignificant overnight. Nonetheless, it is already changing the workings within the sector by facilitating everything from faster order execution to detecting bots and scammers. The AI overlords have arrived.